We announce with much sadness the death of University of Alabama School of Law graduate and former Special Collections Research Assistant Brad E. LeMarr. Brad died on January 20, 2015, at the age of forty. Possessed of a truly versatile mind, Brad earned advanced degrees in History and Classics in addition to the JD (class of 2008) and MLS that he received from the University of Alabama. He was admitted to the state bars of Alabama and Oklahoma, but his true love was classical history, especially that of the late Roman Republic. Kind and attentive to his colleagues at the Bounds Law Library, Brad applied intellect and intuition to the processing of collections. 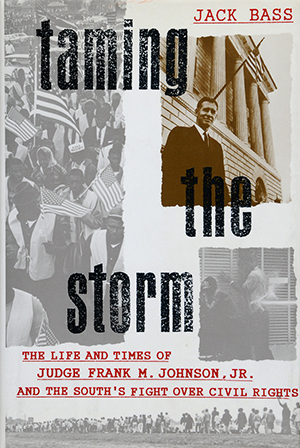 He also participated with enthusiasm in the production of our seventh Occasional Publication, titled A Goodly Heritage: Judges and Historically Significant Decisions of the United States District Court for the Middle District of Alabama, 1804-1955 (2010). Requiescat in pace!